Esprit New Glamour Rugs - A designer collection of silky soft microfiber rugs. 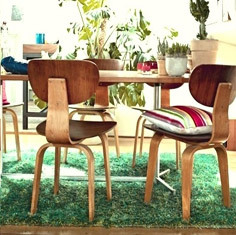 Vibrant greens mixed with aqua, blues with denim colour accents are but a few of the colours available in this stunning collection of shag pile rugs. Hand-tufted in China from a mixture of acrylic and polyester, the pile is heavy and super soft underfoot. Available in large sizes and even a square shape. Part of our Esprit Home range.